In this week’s Find we acknowledge that everyone’s tastes vary, a universal truth revealed in the fable ofGoldilocks and the Three Bears. When the greedy Goldilocks recklessly breaks into and enters the bear den, she immediately sets out to find food, rest and sleep. She quickly realizes that beggars can be choosers and seeks out the possessions of Baby Bear. This week, I hope to Find the sing along piano bar (and dinner pairing of course) that’s just right for you! If you are like Papa Bear, and like things strict, come to Brandy’s Piano Bar on the Upper East Side any night of the week. Expect a rendition of The Piano Man, all the hits from Rent, and other sing along favorites. Requests are received via napkin, and you never know what you’re going to get at Brandy’s. The talented staff can and will rock some songs, but whatever you do, do NOT dance or take the extra microphone without asking…they are big on rules here. Live shows every night from 9PM-3AM. 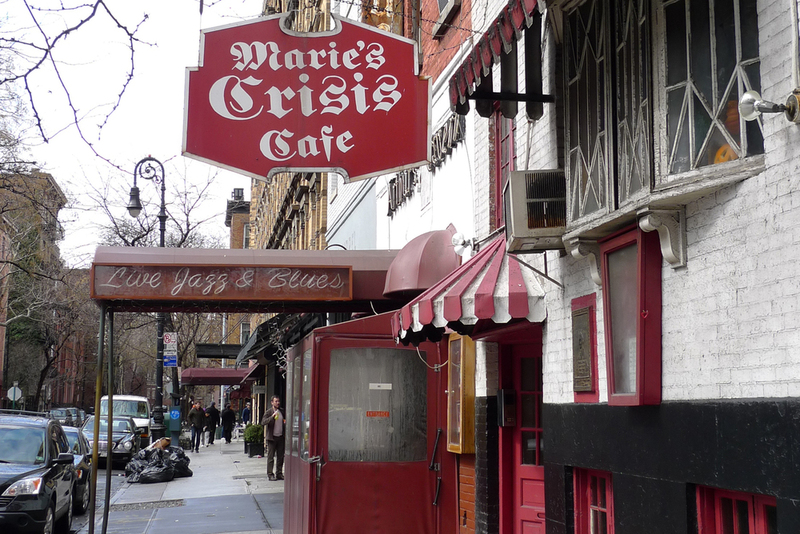 If you are like Mama Bear, warm and nurturing, go to Marie’s Crisis in the West Village any night of the week. Unlike the others, this is a “musical theater sing along” bar only, so make sure your know your musical theater. They go deep into the catalog and avoid Disney productions at all costs! Everyone gathers around the piano, like old friends, and everyone fits right in. Definite kudos go to those with killer Broadway voices. And last, if you are like Baby Bear (& Goldilocks) and like your music just right come to Bar Nine for New Orleans style dueling pianos. They will welcome you with open arms at this dive bar that has something for everyone. For the sports fan there are plenty of TVs so you won’t miss a thing while belting out Sweet Caroline. Shows by the Flying Ivories are Thursday, Friday, and Saturday nights beginning at 8PM. Unlike Brandy’s, they encourage patrons to dance on the small stage. Make a reservation in advance with Greg and you’re guaranteed to leave smiling. Now for some food (porridge) Finds for a base before you exercise your vocal chords and liver. This Neopolitan pizza temple is the perfect prep for a night out at Brandy’s. As an aside, I prefer the old location on 90th & Second Avenue which is smaller and more intimate than the new location at 81st and Second Avenue. The rather doughy pizza is bursting with flavor, the crust is baked to perfection, and the ingredients are straight out of Papa Bear’s garden. It is important to note that the pizza doesn’t do well delivered (I don’t know why), so go there and eat it fresh out of the oven. This Israeli/American Mediterranean restaurant in the West Village has great food and doesn’t even seem like it is trying. Obviously Mam Bear would approve of this love story between Jack & Freda (which began when they both worked at Balthazar), but the real love affair is between interesting blends of common comfort foods. You can make a reservation if you are 6 or more and it is close to Marie’s Crisis. If you are a Thai food fan, you are in for a treat. Everything is casual and not fussy (the decor, the wait staff, and the vaguely familiar music) for for the food which is exceptional. This is precisely how Baby Bear would have liked it! Reservations are not required and it is on the very same block in Hell’s Kitchen as Bar 9. The Finds crescendo…consider Brandy’s Piano Bar, Marie’s Crisis, and Bar Nine Found!